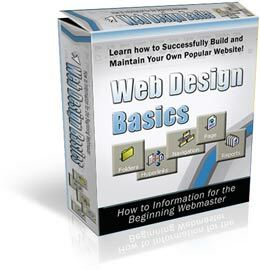 The Web Design Basics Newsletter will show you proven and effective methods that you can use to build and maintain your own successful website. Inside each issue, you will receive easy to follow information that can help you learn how to successfully build and maintain your own popular website. You will have access to simple facts, tips and information that will teach you good design practices, help you build search engine friendly pages and optimize your website for maximum success! The best part is it's absolutely free! 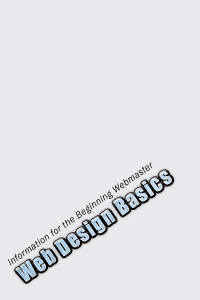 Inside every issue of the "Web Design Basics"
maintain your own popular website! How to practice good design techniques, so that your website will easily attract all the visitors you want. Simple techniques that you can use to create a sitemap, and why it's important to include one in your web design plans. Why it's important to get to know your audience before you begin building your website and how it can make or break your success. How to create search engine friendly pages, so that your website will rank well and get all the traffic that it deserves. Simple, effective strategies that will help you keep your visitors coming back again and again. And that's just the beginning. Once you join the "Web Design Basics" newsletter you will have access to great information in every issue that will help you learn how to effectively build and manage your own popular website!